In the early 1900s, Admiral Fisher of the Royal Navy proposed several designs for battleships. 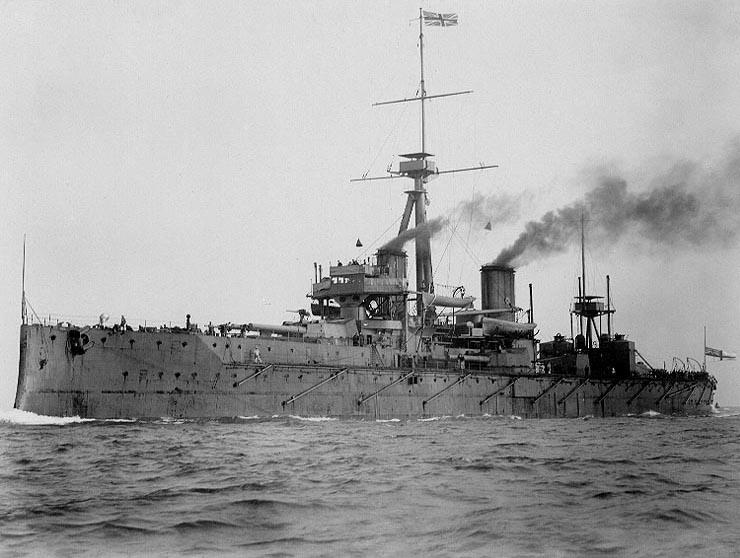 After becoming First Sea Lord in 1904 he pushed these ideas further and the result, HMS Dreadnought, was launched by King Edward VII in 1906. Her launch sparked a naval arms race around the world, particularly with the German Imperial Navy who responded with the Nassau-class battleship. Construction began in 1907 and they, there were four constructed, were launched in 1908. In parallel to these developments, William Melville, the head of Scotland Yard’s Special Branch was recruited to, secretly, lead a new intelligence section within the War Office – MO3 (later known as MO5 which, in turn, became MI5) – responsible for running both counterintelligence and foreign intelligence operations. By 1903 relations between Britain and Germany were cool and, indeed, espionage between the two nations was on the rise. Towards the end of the decade, Germany was considered by many to be the greatest threat to British affairs. Following the launch of HMS Dreadnought, Germany is believed to be designing a new battleship and, in 1907, Melville sends the characters to Germany to retrieve the designs of this new battleship.